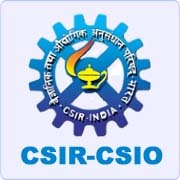 PA Level-I Vacancies – Last Date (Interview) 07 February 2019 (Chandigarh, Punjab), Central Scientific Instruments Organisation (CSIO) recruits PA Level-I Posts. Candidates with B.Sc. experienced can apply. Experience on science promotion activities including designing new experiments (physics/chemistry) for students, conducting popular science lectures, science exhibitions, etc. 7th February, 2019 (Thursday) at 8:00 a.m.